Big Brother has two favorite types of books, Non-fiction and books he finds hilarious. 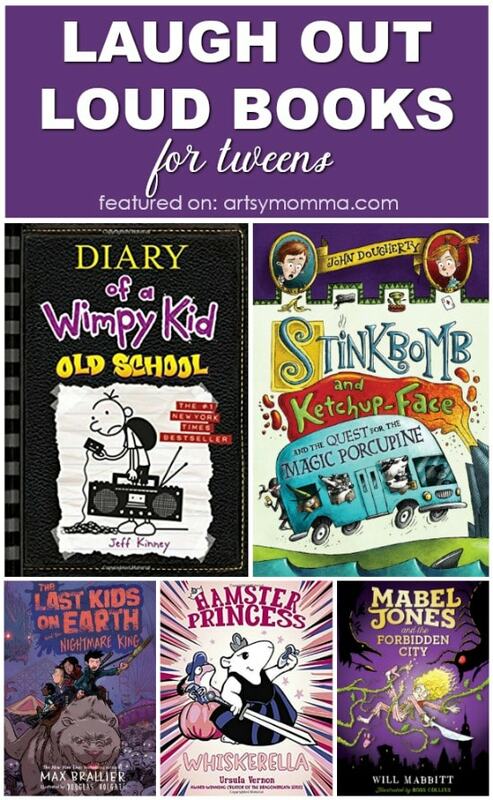 Today I am sharing a handful of laugh out loud books for tweens that are on his current reading list. The kind of chapter books that parents sometimes cringe at because of the silliness, grossness, and wacky nonsense that are the main theme…..
…… The funny books that have him smiling and running up to me every few minutes to try to tell me all about the joke or funny part he just read – most of which I usually have a hard time understanding because he can’t shake the giggles out while attempting to retell me. *The links to the books in this post are referral links. We may receive a small commission when products are purchased through these links (Amazon). We are also a #PRHpartner and have received an ARC of book(s) listed. 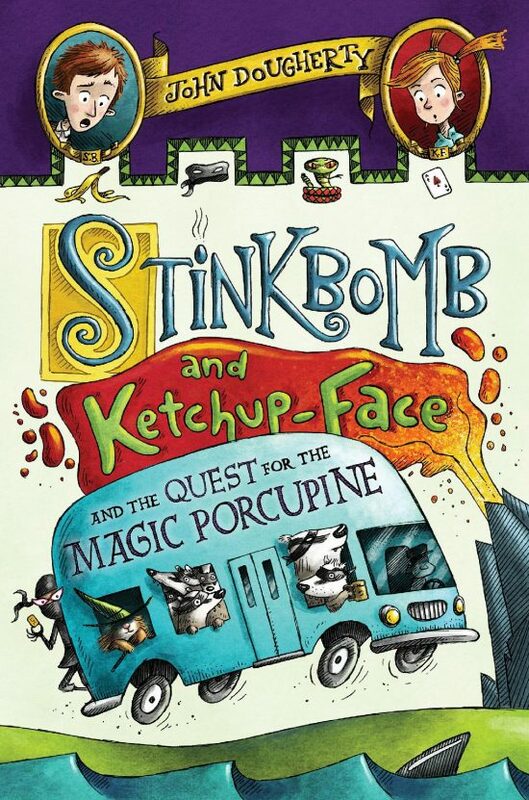 The BADgers are back in Stinkbomb and Ketchup-Face’s second adventure, perfect for fans of The Stinky Cheese Man and Pseudonymous Bosch. The villainous badgers have escaped from prison, and it’s up to Stinkbomb and Ketchup-Face to find them and put them back! Only someone who knows about stories can point them in the right direction, so they consult Miss Butterworth, the Ninja Librarian. After referring to a copy of Stinkbomb and Ketchup-Face and the Quest for the Magic Porcupine, Miss Butterworth sends them on their quest. Along the way they encounter raccoons who are definitely NOT badgers in disguise, a really REALLY long traffic light, a rabbit in a prickly coat, and a banana-eating hammerhead shark, all leading to a showdown with the badgers. Can the kids think fast enough to save the king from being shot out of the biggest water rocket in the world? We don’t know. But we’re going to read it and find out! I will come back and update with Big Brother’s review once he’s finished reading it, but his first thoughts are that it sounds and looks exactly like a book he will laugh at and like a lot. This is Big Brother’s favorite series. Everytime he reads a new book, he can’t put it down and finishes it the same day or the next. He finds the main character to be hilarious. We own a handful of them and each one is well loved. Old School is about unplugging in a technology-crazy world to get a glimpse into ‘the good old days.’ Greg’s mom get the town’s people to sign a petition for a 48-hour electronics-free weekend. During the unplugged weekend, Greg and his best friend [attempt] to run a lemonade stand because Greg’s dad suggested it as a way to earn money. My son says that they were doing it all wrong, Greg got lemon juice in his eye, and people complained that it was too sweet. Greg eventually goes on a class trip to Hardscrabble Farms for a week. Since he did not know how to survive the old school way, his grandfather helped him out a bit by giving him a handy book that used to belong to him when he was a kid. While there, he stumbles upon the secret of the ‘Silas’ Scratch’ – a story told by his father. My son says that he would definitely pick modern times over old fashioned because he’d miss playing video games. Wimpy Kid Downloadables – Printable book extension activities and suggestions. 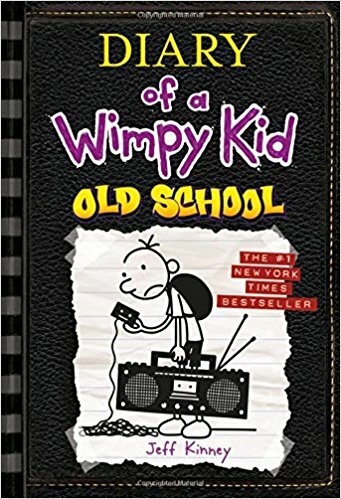 Diary of a Wimpy Kid Dog Days – This is also high up on my son’s list of super funny books that are a must read for kids his age. My son absolutely LOVES the Hamster Princess book series! We own Hamster Princess: Of Mice and Magic and Hamster Princess: Harriet the Invincible. Both are some of his all-time favorite chapter books. He is excited to read the newest book in the series which came out early this year. 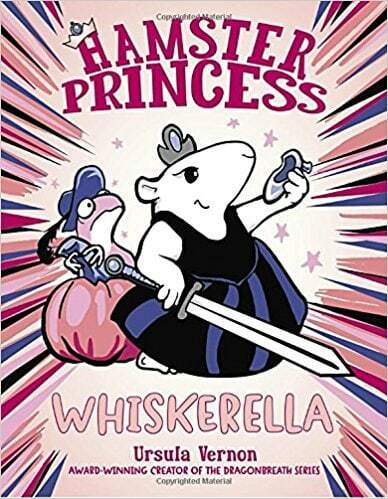 Smart, funny, and filled with swashbuckling adventure, book five in the critically acclaimed Hamster Princess series is a hilariously re-told fairy tale for the modern age.